As any year comes to a close, it’s always entertaining to look back and figure out what kept you listening the most. Sometimes, it is intensely difficult to narrow down the albums that really mattered. Other times, you know right off the top of your head without a second thought. This year was definitely not as difficult as you might expect with all of the new music that’s been pouring out of artists lately. Many artists in 2009 dominated with multiple releases for the year. Such artists would be: Animal Collective, with an LP, an EP, a single, and even a boxset, Javelin, with the Jamz n Jemz CD and with the Javelin 12″. Real Estate have just put out an LP, an EP is due out shortly, and now there is even a new “Live on the Radio” album on vinyl-format only. Kurt Vile released two full lengths, “Childish Prodigy” and “God is Saying This to You”, and also a couple of singles. Last but certainly not least would be Ganglians, releasing two LP’s on the Woodsist label, and then a great 7″ on Captured Tracks. Basically what this all means is that there was a lot to choose from for 2009. 11.) Chain and the Gang – Down with Liberty…Up With Chains! 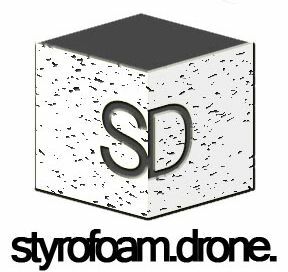 Posted on December 19, 2009 August 31, 2012 by styrofoamdronePosted in ListsTagged best of, Lists. I am actually pleased to glance at this web site posts which carries tons of valuable facts, thanks for providing such information.